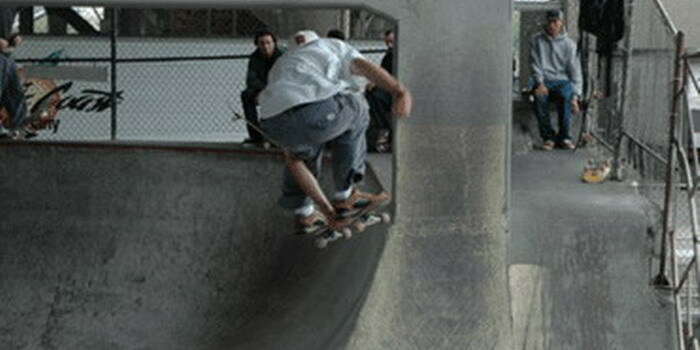 Location Burnside Skatepark: In the heart of downtown Portland Oregon, underneath the east end of the Burnside Bridge. Directions to address: From I-84 westbound take the Lloyd Center exit (#1). Continue straight through 4 lights on Lloyd Blvd. At Martin Luther King Jr. Blvd. Take a left. Go 1 block passed the intersection with Burnside to SE Ankeny, take a right. Continue to 2nd Ave. Take a right onto 2nd and the skate park is about ½ block down on the right. Description: Underneath the Burnside bridge has been transformed into a concrete skate Mecca. 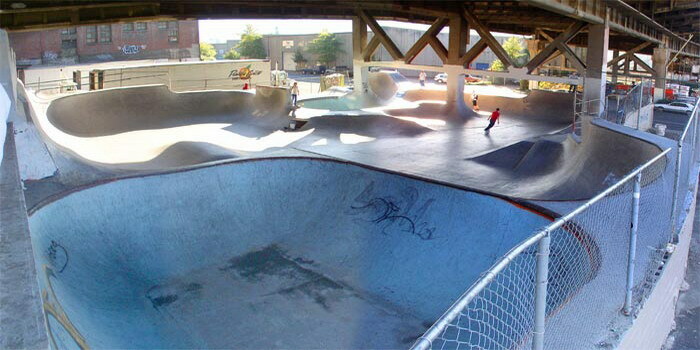 It has been featured in several skate videos in the past and continues to be Portland’s main skate attraction, even being featured in "Tony Hawk's Pro Skater" video game. It has been gradually expanded to the entire area under the bridge. It features two concrete bowls (one affectionately called the "death bowl") as well as several quarter pipes and corner bowls that reach vert. There is a spine and a half pyramid to the side and the entire park has good coping and high walls. Review: Burnside is very popular and it can get crowded on the weekends. We would not recommend this park to beginners unless you head there early in the morning when no one else is there. A real plus to this park is its protection from the rain. Being directly under the bridge, most of it stays dry.